Our weather-resistant and durable manufactured products allow for flexible design options. Onsite engineering and design capabilities allow FLEX to create a custom solution to meet your design needs because simple construction leads to a quick and seamless installation. FLEX offers a variety of options to ensure that your product can be produced, and assembled, effectively and efficiently. We offer onsite assembly of the product or we can train your crew. The best part is that all of the installations can be done quickly! Our composite panels are easily used as an exterior facade for a high quality, insulated, and virtually maintenance free cladding solution. Because of our patented interlocking system, our panels can be quickly fitted to your building to get you up and running faster. Once your warehouse is ready to go, FLEX panels can be used to partition the space and create individual rooms or offices. 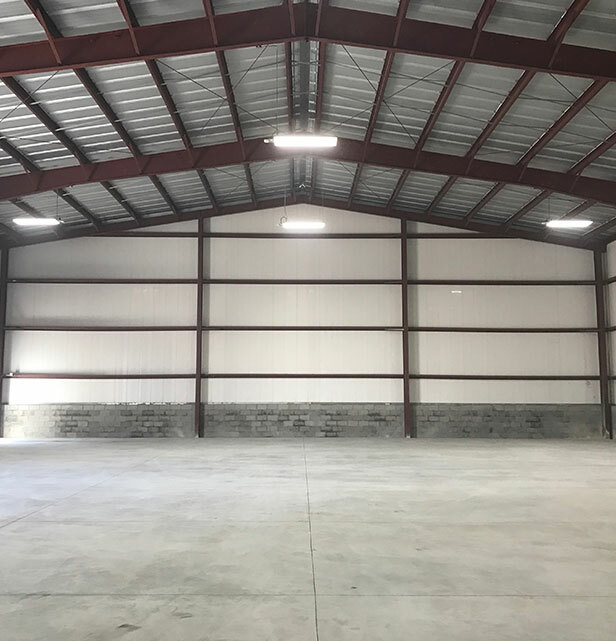 These spaces can be added to your warehouse in a matter of days. They are ideal for adding organization and structure to your space. Need to add offices to your building? Our panels offer a quick, clean, reusable solution for creating interior offices in existing buildings. Use the FLEX Systems for all interior and exterior walls, whether dividing or partitioning areas. Due to the very light but durable properties of the system, our panels do not add further loading to existing structures.